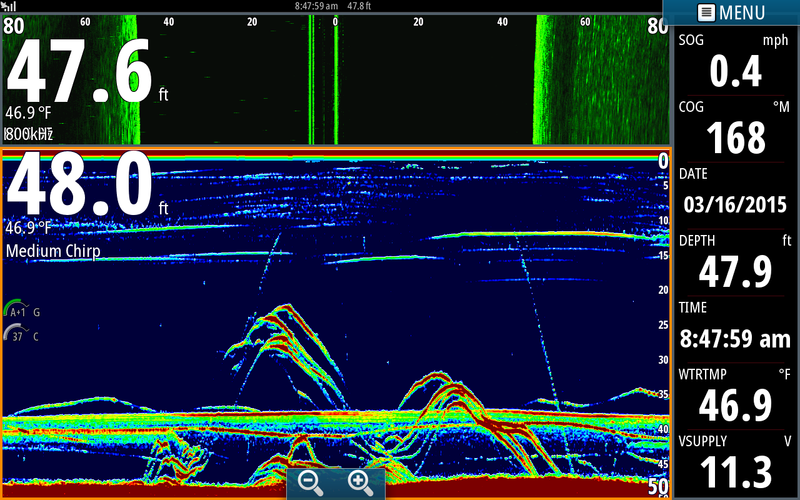 Simrad shot of pulling downlines across a deep flat this morning laden with Stripers. Another nice Simrad shot of us coming up on some pretty structure. The weather still can't make up its mind. It was 31 this morning when we took off from the marina and 74 when we came off the water. Oh well, better than Ice! 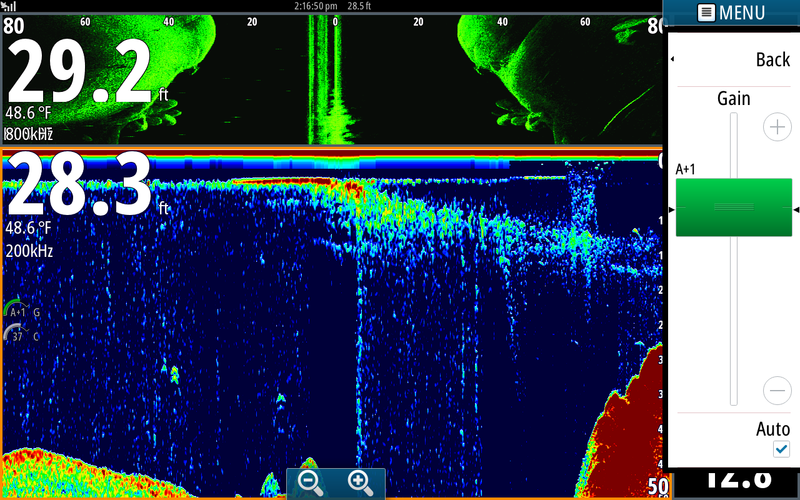 Guys are holding up 4 of the Stripers we caught around the middle screen shot. 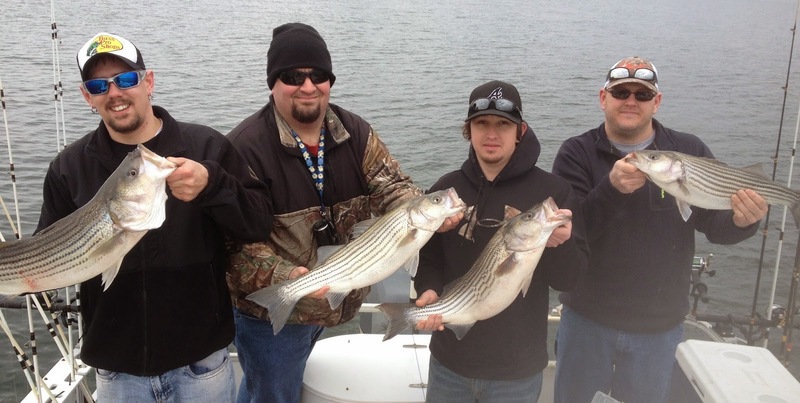 It was around 9am and the only way the guys could warm up was to reel in Stripers. Glad I could oblige them. Caught 15 Stripers today.